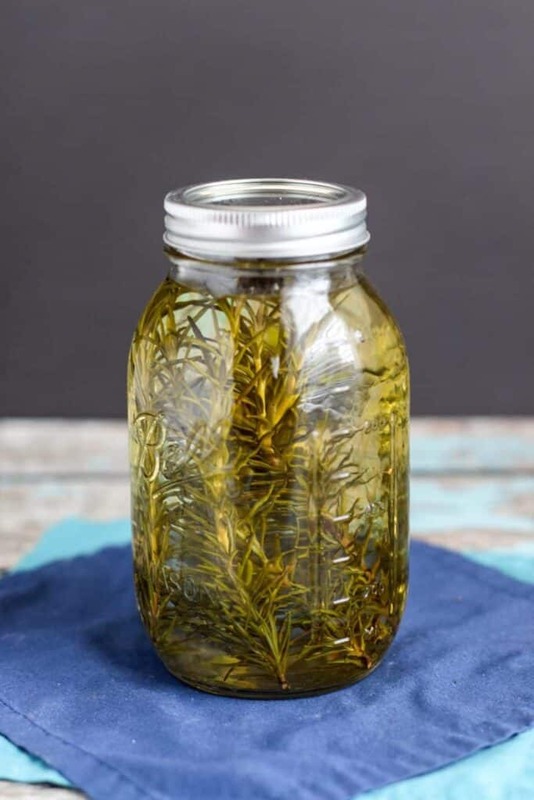 This Rosemary Infused Vodka is full of herbaceous flavor, embarrassingly easy to make, and makes the perfect addition to (summery) cocktails. Before (above) and after (below). 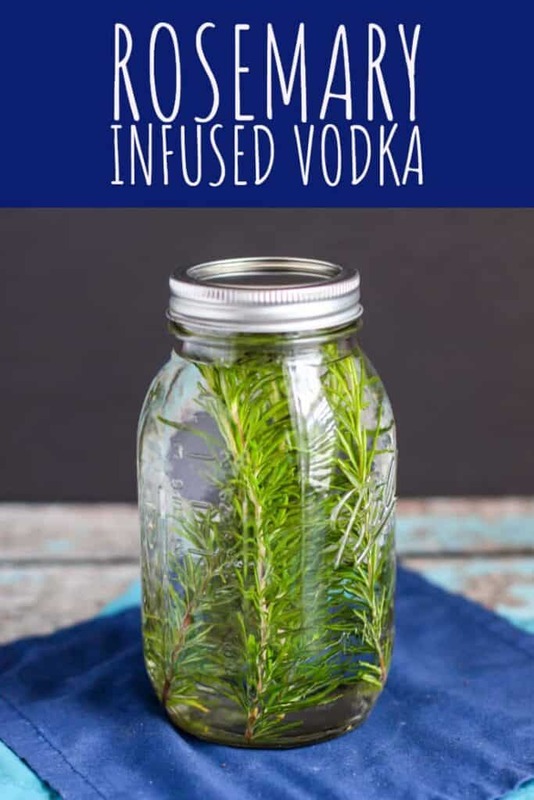 This infused vodka is so easy to make. It only requires a little forethought and patience (~5 days). It’s really fragrant and flavorful, and makes a great addition to cocktails. 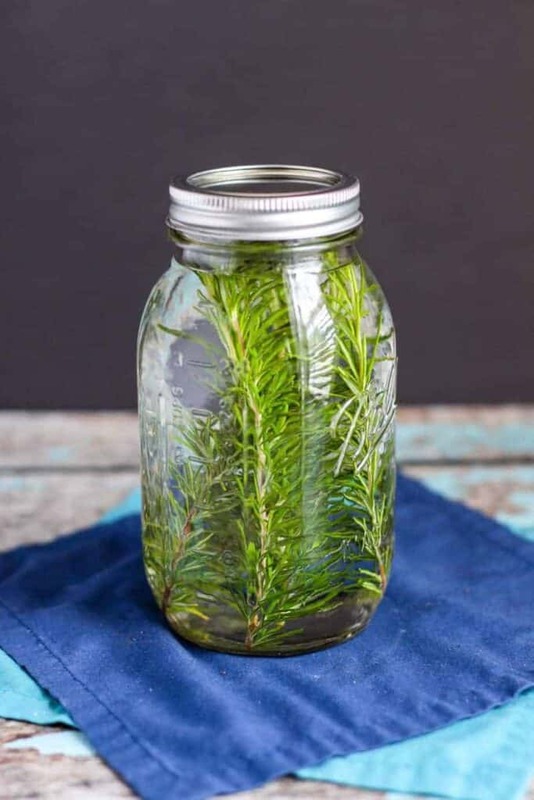 Place the sprigs of rosemary into a jar (or other container that can be sealed). Top with vodka. Seal the container and wait 5 days. You'll see the vodka go from colorless to a clear gold/green. You can remove the rosemary from the container, or not. The flavor will continue to intensify the longer it’s left in the vodka. You can store the vodka right in the container in which it was infused and stash it wherever you keep your booze. I keep mine in our pantry. Stay tuned for a recipe for Homemade Sour Mix + a cocktail to make using it AND this vodka!